There’s always a bit o’ fun brewing at the Canteen. May 22 | ABQ Beer Week! 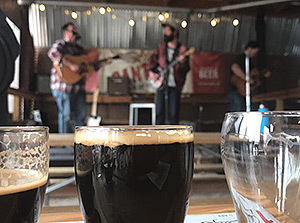 Get a front row seat to great live music, Thursdays and Sundays on the Canteen Brewhouse stage. All performances are free. The lineup is always changing, but here’s the scoop on a few of our returning artists. Across the sun drawn sands of the Southwest, a group of modern day troubadours has formed. By combining alternative country influences with a dash of folk, Americana and jazz, Dusty Low has created a sound that is at once familiar yet surprisingly fresh. Brothers Sam, Jesse and Danny Sullivan along with Adam Trzyna have forged a new direction that incorporates all of their collective influences. Add to this, superb harmonies and the result is truly exceptional. The son of Greek-American restaurateurs, Alex Maryol grew up in Santa Fe surrounded by a lively artistic and cultural landscape. 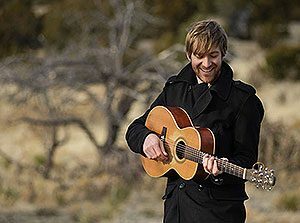 Raised on the music of Chuck Berry, Fats Domino and Elvis Presley, he began songwriting during his teenage years while performing at smoky bars and coffee shops in downtown Santa Fe. While primarily influenced by blues greats such as Lightning Hopkins and Buddy Guy during these years, Alex maintained a love for all musical genres from classical to grunge. In his early twenties Alex gained notoriety by performing as a blues act at festival favorites such as the Telluride Blues and Brews Festival and the King Biscuit Blues Festival. These years of working in the blues laid a solid foundation for him to expand his ideas in other fields of music. 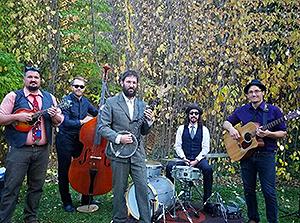 As unpredictable, fearless, and entertaining as their namesake, Le Chat Lunatique purveys an addictive genre they call “filthy, mangy jazz,” a signature sound that makes you want to smoke and drink too much—if only you could get off the dance floor. 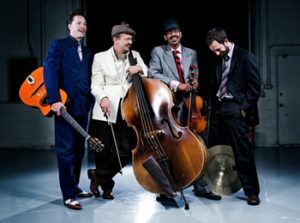 Le jazz hot of Django Reinhardt and Stéphane Grappelli is their north star, but they use that beacon to navigate through a wide range of genres, blending Western swing, classical, reggae, doo-wop, and “anything else we damn well please” into strikingly original compositions and audaciously reworked standards alike. Their irreverent humor, their intensity, and their expert musicianship will soon win them your acclamation as the best time you’ve ever had in public with your clothes on. 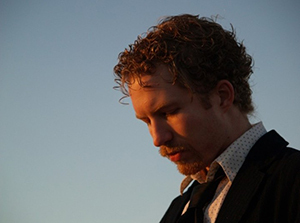 Matt has performed and toured extensively in many areas throughout the United States and Canada. The emphasis in Matt’s music is on songwriting, vocal ability, and rhythmic nuances, but The Real Matt Jones is 100 percent entertainer. While the music is resoundingly pop-oriented, he entices listeners with interesting arrangements and subject matter. Additionally, he delivers soulful lyrics that evoke powerful emotions along with flawless guitar work, all the while being peppered with his own brand of humor and storytelling. These elements tie together to make music that has great replay value, and is easy to remember. 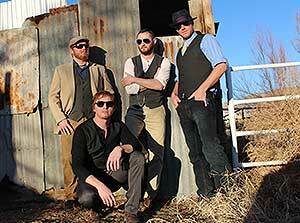 The Porter Draw is an Alt-Country, Americana band from Albuquerque. They have been key contributors to a flourishing New Mexico roots music movement since 2007 and have shared the stage with such greats as Greensky Bluegrass, Reverend Horton Heat, New Riders of the Purple Sage, Cross Canadian Ragweed, and Cadillac Sky. Fitting in at country honky-tonks and rock n’ roll clubs alike, The Porter Draw have built a reputation for high energy, sweat-drenched shows coupled with tight harmonies of wistfully delicate lyrics of longing, heartbreak, and the American experience. 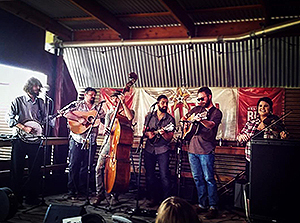 Silver String Band, Albuquerque’s premier bluegrass/Americana ensemble, was established in August of 2015 as a collaboration between musician and songwriters already deeply entrenched in the New Mexico music scene. Silver String Band plays a combination of originals, traditional bluegrass favorites and creative covers in the bluegrass style. Kei th has gained tremendous notoriety as a mesmerizing singer/guitarist, performer and songwriter. 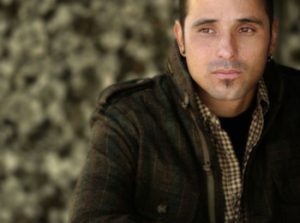 His music has been distributed throughout the United States, garnering a #1 charting song on the national Rock en Español R&R charts, and he’s been featured on major network shows such as The Shield on FX, and MTV Español International. Keith was the principal performer and Music Director for Carlos Santana’s Maria Maria Restaurants throughout California and the southwest. Now performing and writing as a solo artist he showcases his reinvented sound laced with rootsy rock, soulful blues, latino groove, artful singer-songwriter reflection, and a healthy dash of pop.